As a one-on-one client, we’ll work together to explore concerns specific to you and your body and discover the tools you need for a lifetime of balance. 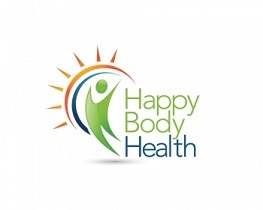 Your personalized program will radically improve your health and happiness. I offer one, three and 6 month programs. To decide if health coaching is right for you, I invite you to schedule a free initial consultation with me. During this session, we will discuss your health and lifestyle to determine how I can best support you in achieving your goals. Or, if you’re ready to get started, here’s how to do it! If you just need a jump-start, this is the program for you. Book your series! This program will give you a jump start, and with additional time between sessions, you’ll be able to integrate your healthy new habits, as well as have a longer timeframe for support and accountability. Book your series! This is a deep dive program, where you’ll have ongoing support for a half-year. We’ll consider your entire self, body, mind and spirit, including the food you eat, the work you do, your stress factors, and anything else that you want to address. By the time this series ends, you’ll be a new person! Book your series! I also offer a single session option, 50 minutes for $99. If you just want to address a single issue that can be covered in one conversation, book it here!